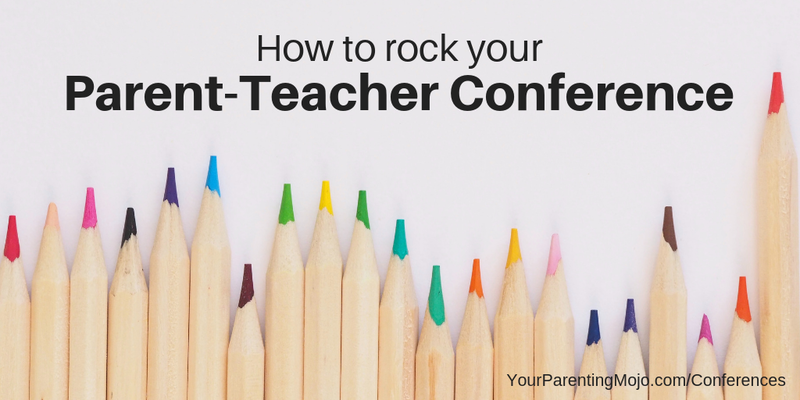 Parent-Teacher conferences are about to be underway in many places, so I thought it might be helpful to give you some resources to make these as productive for you and your child as possible. In this episode we talk with Dr. Margaret Caspe and Dr. Elena Lopez of the Global Family Research Project, which develops authentic partnerships to support children’s learning in the home, school, and community. I actually used Dr. Lopez’ textbook for my Master’s in Education, so I’ve been familiar with her work for a while and knew she and her colleagues at GFRP were just the right people to help us learn more about Parent-Teacher conferences (for example, did you know that teachers find them just as scary as parents?!) and understand how to advocate for our child – and for all of the children in our community. The resource guide on Parent-Teacher Conferences that we reference throughout this episode can be found here. Civil, M., &amp; Quintos, B. (2009). Latina mothers&#39; perceptions about the teaching and learning of mathematics. In B. Greer, S. Mukhopadhyay, A. B. Powell, & S. Nelson-Barber (Eds. ), Culturally responsive mathematics education (pp. 321-343). New York: Routledge. McWayne, C. M., Melzi, G., Limlingan, M. C., & Schick, A. (2016). Ecocultural patterns of family engagement among low-income Latino families of preschool children. Developmental psychology 52(7), 1088. Jen: 00:21 Hello and welcome to the Your Parenting Mojo podcast. Today we’re going to take another look at a topic related to school and it’s one that you’re going to be able to use very soon. We’re looking at parent teacher conferences. Your conferences in your new school or preschool or maybe classroom within the same school are likely coming up within the next couple of weeks. And these things can be stressful!” We get 10 minutes with a teacher whom we may or may not have had any interaction with beyond, hi, how are you?” And we really have no idea what to expect, so ideally parent teacher conferences shouldn’t just be a one shot opportunity to discuss your child’s progress in school. They should be part of an ongoing conversation about progress in school, but maybe also things happening outside school that are affecting that progress. But how can we know what to expect from these conferences and how can we prepare for them, how can we think about them in the context of all the other interactions that we are or could be having with our child’s school? Jen: 01:54 So we have not one but two guests here today to help us figure this out. We have Dr Maggie Caspe. She’s the director of research and professional learning and the global family research project. She had her masters in education from the Harvard Graduate School of Education and a Ph.D In applied developmental psychology from New York University and Dr Elena Lopez, co-director at the Global Family Research Project. She received her doctorate in social anthropology from Harvard University. Both Dr Caspe and Dr Lopez conduct research on how families, early childhood programs, schools and communities and the relationships between these support children’s learning. The Global Family Research Project prides itself on doing work that is scientifically based, cutting edge, accessible, and practical. It sounds a lot like the goals of this podcast, so I’m so excited to have them here with us. Welcome Dr. Caspe and Dr Lopez. Dr. Caspe: 02:45 Thanks for having us. New Speaker: 02:46 So let’s start with a little empathy here. It would be a good place to start. When I was researching this episode, I did a general search for parent teacher conferences just to see what would pop up and several resources for teachers were first on the list. One of the top hits contained this quote. “If there is one part of the school year that strikes fear into the heart of any teacher, it’s parent teacher conference time.” Why are teachers afraid of parent teacher conferences? Dr. Lopez: 03:13 We’re so glad you started with this question because it lies at the heart of a lot of what we do in our work, which is in part to help prepare school and community educators for family engagement and maybe I can take a quick step back and define what we mean by family engagement. Research shows that family engagement is composed of three main pillars. The first is that it’s a shared responsibility among families, schools, and community to support children’s learning for success in school and in life. In other words, it’s all about relationships and trust and ongoing communication and conversation. Not just families blindly supporting school goals and mandates; it’s more than raising money and joining PGA. It’s the way that families promote and advocate for dirty and it’s the way that schools and other organizations open up their doors to support families in getting the information and support they need and also listening and understanding what parents and families desire. Dr. Lopez: 04:34 And we also know that family engagement takes place everywhere all the time. Not just in school. There is a statistic we like to quote, which is that of the 6,000 hours of awake time children have available to them and really only 1,000 of those hours are spent in school, so children are learning in a lot of spaces outside school: parks, libraries and the home, so it’s not fruitful or productive to think of family engagement as just taking place in school, but we broaden our notion of family engagement to all these settings as well. And the third pillar is that family engagement, bath waste begin early in birth really and continue all the way through high school. Although the ways in which families are engaged in their children’s learning and social and emotional development will change as children mature. So family engagement is really complex. It is nuanced. It exists across time and space and it’s constantly spiraling so you can picture a big wide ocean of family engagement and parent teacher conferences are just one ripple of it. They are part of a larger ongoing conversation that is happening between parents and other adults that care for a child. The parent teacher conference ideally is not the first interaction that a parent is having with a teacher, but instead is part of an ongoing dialogue across space and time making. Maggie, do you want to add to that? Dr. Caspe: 06:27 Thanks for that introduction because I think, Jen, it sort of brings us back a little bit to your original question of why teachers might be afraid of parent teacher conferences and I think what we know is that there are a few things going on. First, you know, we sort of know that for the most part educators are not prepared for family engagement in their foundational coursework and they’re not given a lot of opportunities to learn about how to make families the central part of their practice. It’s funny, so I began my career as a kindergarten teacher and I remember really feeling nervous and petrified during my first parent teacher conferences and in a large part it was – I wasn’t exactly sure what to do. I was really well trained to run reading blocks and engage kids in math and I really felt like I had behavior management strategies down, but the parent teacher conference with something more elusive and for new teachers and even experienced ones I think how you talk with families about what kids are doing, but how they’re doing I think is really hard. And then once you get into the classroom, we know that teachers don’t get a lot of support either in their continuing education around working with families. Dr. Caspe: 08:48 She looks at how these conversations make parents feel really raw and exposed, and they hear echoes and murmurs of their own past in their own school histories which often leads to these feelings of nervousness and anxiety that you mentioned and teachers maybe not to the same extent. Also feel uncertain, exposed and defensive because this is the place probably more than any, that their confidence in their professionalism might be the most directly challenged. And the other thing that Sarah Lawrence Lightfoot also draws out is during these conversations were actually replaying some of the larger tensions that exist around family engagement in terms of child rearing, race, class culture, language, gender. Who gets to talk and who needs to remain silent and what makes quote unquote a good parent. So all of these things are playing out in this 10 minute conversation and that makes it a little tough. Dr. Caspe: 09:55 I will say though, I don’t want to end on such a downer, right? A lot of the work that Elena and I do is to reimagine and rethink with family and school communication and the parent teacher conference can look like and you know, there are bright spots and we can talk about those. We know that some places home visits go on or we know that in some school districts there’s been a massive restructuring, so parent teacher conferences are in done individually, but maybe in groups and teams or even text messaging and digital media have really helped support this process. So it’s not all big and nervous. There are bright spots, but there’s a lot that goes on in those 10 minutes. Jen: 10:37 Yeah. Thanks for drawing that out a little bit. I think it can really help parents who might have this perception of teachers as sort of a monolithic and to see that are the experts and they know what’s going on and they’d been trained to do this and actually quite possibly they haven’t. And they’re, they’re just as nervous as you are for a variety of the reasons that you mentioned. So going into this conversation with a very open mind and open heart I think can be very helpful thing. So let’s get into some specifics then because before this conversation you sent me an awesome resource that’s called Parent Teacher Conferences: Strategies for Principals, Teachers and Parents, and we’re going to discuss that a lot more in the show and it’s actually available on your site. We’ll put a link in the references to the parents can go and find it. It’s super short, really easy to read and use. And so in it you described the five R’s. Can you tell us what the five R’s please? Dr. Caspe: 11:27 Yeah, so the five R’s are: Reach Out, Raise Up, Reinforce, Relate and Reimagine. I sometimes pretend I’m doing yoga poses while I say them, but really they’re our way of helping ourselves and others organize and think about the ways to help educators and families share responsibility across time and space. And these really grew out of really in depth interviews and conversations we’ve had with educators over the past few years in a variety of spaces as well as librarians after-school staff to really understand some of those best family engagement strategies and you know, quite simply reaching out means that family engagement programs and resources are accessible to those who often have the most difficulty taking advantage of them. Raising up means that practices, teachers, families work together on two-way communication. Families have an opportunity to share what they know about their children and co-design action plans with teachers. Dr. Caspe: 12:36 And then the third R is really this notion of reinforce and it comes from this idea that we as parents are children’s first teachers and that family’s cultural values, norms, language and contexts always need to be integrated into these types of conversations that families and teachers have. The fourth R is about relationships and it really highlights the value of supporting families in building peer-to-peer networks as well as relationships with their children and finally reimagine is about ways to increase families access to an understanding of information on children’s progress and using really community agencies to help with that. Jen: 13:18 Okay. Super. Thanks for that overview and I would like to delve into each of those a little bit more so that we can really get an understanding of what are the tools that we can use to make these parent teacher conferences more productive for everybody. So the first R you said is reaching out and sometimes parents have scheduling problems and they can’t get childcare so they can attend a conference or maybe they can’t get transportation or maybe English isn’t their first language and they just don’t feel comfortable interacting with the teacher. So I’m curious what kinds of reaching out should parents expect to see from their child’s school and what can they do if the resources they need aren’t forthcoming? Dr. Lopez: 13:54 I’m going to start with what teachers can do and they can be flexible by being available by phone or holding a video conference when an in person meeting doesn’t work for the family and teachers can also spend part off the meeting with parents just getting to know the family better before even talking about a student’s academic progress. So one thing that teachers can consider us long as the proper releases are signed is still allowed parents or guardians to bring another family member or friend, if that helps them feel more comfortable, especially if that person that they are taking along with them can help with translation and principals also have a role in reaching out to families. They can support families by ensuring that there are interpreters that there is child care or transportation is available when needed and that families know about these services. They can also provide teachers with tips/coaching on how to make the band teacher conference productive, especially among first time teachers and they can consider implementing home visiting programs. Dr. Lopez: 15:19 Not as a replacement for the conference, but as a way to establish rapport between teachers and families even before the school year began and as a parent, we should feel empowered to let teachers know if there is a scheduling conflict or if there’s a particular concern that needs to be addressed in the conference. Sometimes it’s easy to forget an important question or piece of information when the meeting is in progress of being prepared, writing it down, sending a phone or text message with a feature that you would like to have this as part of the conference, especially if it’s just for a short period of time. Jen: 16:00 Yeah, that’s really helpful so that everybody kind of has an idea beforehand and nobody feels blindsided about something important that you want to discuss. Dr. Lopez: 16:08 That’s right. Jen: 16:09 Yeah. Okay, so the second of your principles is raise up and so my daughter in preschool, not school, so I think our parent teacher conferences are maybe a little bit less stressful than the real conferences at school and I love our school and our teachers, but the fourth conferences that we’ve attended thus far kind of feel like drinking out of a firehouse because the teachers spend most of the time talking and they’re telling us how much they love our daughter, which is great, but in the 10 minutes allotted there’s just no space for a real conversation. So what if anything can parents do about this? Dr. Caspe: 16:41 You know, I have three daughters, one in kindergarten, one in third and one in fifth grade. And so before I go to every conference, I’ve actually begun asking them, what’s one thing I should tell your teacher that you want them to know? And as the conversation with the teacher is about to start, I always share that piece of information with the teacher. Even if one year my daughter really wanted the teacher to know that she really liked her cowboy boots. I said, okay, that’s how the parent teacher conference started and I always make sure to just put it in there. One thing that I’ve seen my own child grow in during the period of time that’s taken place before this prompt is the gun and I think in this way I’m starting the conversation with my voice and my daughter’s voices who aren’t there just to make sure that we’re keeping the center on them and just like parents are always told before you go to the pediatrician, right down all the questions you have ahead of time and bring a list with you. Dr. Caspe: 17:46 I also make sure to do that what are the questions that I have in the questions that I typically go to are things like, is my child performing on grade level? How is she doing in relation to the class? And if there’s a concern, what are we going to do to get her back on track or what are we going to do to make sure she continues on that trajectory. I ask things like what’s the most important thing that I can do to help my daughter at home and sometimes just asking the teacher to paint a picture of what your child is like if the class is sometimes really illuminating because sometimes your child might be very different in class and they are at home and I think these are all ways to make sure that you as a parent, you’re voice is raised up, that your voice is part of the conversation and I know that a lot of teachers these days use text messaging apps to communicate with families and I know a lot of us families, you know, we received this information and maybe don’t engage in right back as much as we can, but also feel empowered to maybe use those apps to write questions back or post pictures or even start group collective conversations to raise up your voice as a group of parents. Jen: 18:59 Yeah. That’s awesome. Thank you for all the suggestions of questions that you take to school. It seems as though it would make the 10 minutes even more squashed, but I love the ideas for ways that you can bring your voice and your daughter’s voice into the parent teacher conference. So that’s great. So reinforce is the third of the Five Principles, and I have to say I think it’s my favorite one. I hope it doesn’t offend anyone to observe that over 80 percent of the teaching workforce is white and almost 80 percent of them are women and more than half of students are now not white. So the reinforce principle argues for the integration of families’ cultural values and norms and language and context around conversations on students learning goals, which is a fairly stark contrast to the view that what white middle class parents do is the right way to support children’s learning and any departure from that represents a deficit of some kind. So in your handout you talk about how teachers can or should learn from the knowledge that parents have about their children, but how often do you really see this happening? And I’m curious as to whether there are some practical steps that both teachers and parents can take care. Dr. Lopez: 20:06 So reinforce really builds from the notion that parents are a child’s first feature, but the way that families motivate learning and support learning will vary by a lot of factors including culture, language, community, economic resources, and also time. So reinforce is really about about teachers taking time to understand these variations and to really personalize the parent-teacher conference. And I would like to point out some interesting research. The first one is from Gigliana Melzi at New York University and she shows that families from that, Latino backgrounds tend to prefer to promote children’s language and literacy through telling of elaborate oral stories are intricate and detailed and imaginative and relate back to their culture of origin. So reading books is not necessarily the primary way that these Latino families promote language and literacy skills in the US. It’s about reading dialogic reading. So it’s important for the teachers to understand the families and the communities we face serve and also these subtle variations. Dr. Lopez: 21:36 And to be able to incorporate part of that language and culture into their teaching and learning. Another great example comes from Marta Civil who is a researcher at the University of Arizona and she works in the area of family math and we often assume, well math is culture-free, but in reality it’s not even algorithms for how we solve the vision of multiplication problems will vary by country to country. So she does this interesting work where she sets out to meet with families in which she calls [unintelligible] to talk about math and she watches them as they work with their children to solve math problems and to see how they use math in everyday life. And she then brings this back, do assignments and do teacher workshops that she holds as well as other events. So I think some of the concrete ways that teachers can learn more about a family’s culture and language background. Dr. Lopez: 22:43 They can do something as simple as approaching parent leaders in their schools or parent liaisons who represent different cultural backgrounds and just having conversations with them informally. What do they hear from parents? What are their parents discolorations their interests and their frustrations? They can also create assignments are project based activities that provide windows into the culture of students. For example, an assignment about favorite books, songs, apps where parents can write a comment about why their children in particular are drawn to these things. Teachers can also create a bulletin board that might be around a topic of discussion in the classroom for that week and have children and their parents both to comment based on a question that the teacher or the teacher might start a sentence and ask parents send children to complete the sentence such as my favorite place in the neighborhood is x because y give the reason. So parents can participate in school events such as back to school nights, school tours, sports games, and other opportunities in order to introduce themselves to teachers at the beginning of the year so that the conference is not the first meeting. Dr. Lopez: 24:09 Parents can share examples of what their children are good at, what they have found to be successful at home, and all of these provide teachers with a better understanding how to personalize teaching and learning for that individual child. Some schools, especially at the middle and secondary level involve students in conferences with teachers, but if they don’t, parents can ask children before the conference, if there’s any specific thing they want teacher to know about just as Maggie had pointed out about her children, and also it’s important for parents to ask for suggestions for how to build on what their children are learning in school, in the home and in the community and which community resources the teacher would recommend. Jen: 24:58 Wow. There’s so much there. I love what you were saying about the storytelling. It reminds me of an episode that we did on storytelling recently where we looked at a story that a young African American girl told in a paper that was written by John Paul Gee and I read the story on the episode and described how I had found it incomprehensible. And John Paul Gee goes on to do a 14-page literary analysis of the techniques and the methods used in this story and pronounced a masterpiece. And so I think it’s, they’re really recognizing that different expertise is out there and the onus is in some ways on the teacher to understand what is this expertise that families bring as much as it is on the child to learn the ways of school. Dr. Caspe: 25:44 And for the teacher to take that expertise and expanded and integrated into the curriculum and into the teaching and learning. Exactly. Jen: 25:54 Yeah. So the fourth principle is relate to, and I have a few questions on this one actually because I think it really gets to the core of learning and so we tend to think that learning is about the facts that our children memorized in school, but actually so much of what they learn and how they learn it is based on the relationships that they developed with their teachers and the extent to which teachers and parents can work together to support their child. So it seems like parent teacher conferences are just one aspect of this relationship, right? Dr. Caspe: 26:27 I think that’s right. I think we know that family engagement is all about relationships. It’s about relationships between parents and children, relationships between teachers and families, relationships among families and other family members and I just want to highlight that aspect of relationships for a moment because I think they’re really important. Often at this point when I talk about relate, I think a little bit about the work of Mario Luis Small, who’s a sociologist at Harvard and he really shows that when families get to know other families through early childhood centers or other places like libraries or what have you, families grow their social networks and these social networks are really important for family wellbeing because they create emotional support. They also give families an opportunity to feel slightly less isolated and get some ideas to support their families resources and also provide instrumental support. Dr. Caspe: 27:36 Do you have somebody you can rely on in your network? If suddenly your car breaks down and you can’t come to pick up or you’re not feeling well and your child can’t go to school in the morning. Is there somebody who can stop by and walk your child to school? So these relationships among families are really important and parent teacher conferences can potentially be one place for families to build these relationships as well. One of the things that we think about to do this could be during a parent teacher conference a family member can ask a teacher, other families in this classroom that you think, you know, my child is getting along with the other child and we should get to know better. Or are there families who have been in this school for a while who you think might be good mentors for us or even teachers going out of their way to create these types of mentoring groups from families from years past to families to the years in the future. I think when we think about relate, we think a lot about these relationships that exist among families as also a support for learning. Jen: 28:46 Yeah. I love that idea. Dr. Lopez: 28:47 And I would like to add that teachers also need to be supported and I think there’s a role for the principals to foster these relationships. We know of several schools where the principle holds the coffee klatch and so that’s a good opportunity for parents not only to come to know the principal better, but also for families formed these social networks. Jen: 29:14 Yeah, and it makes me think of the information that’s shared in these networks as well. It reminds me of a paper that Allison Roda did in New York City where she was examining how parents choose the school placement for their children and she talks about the informal networks of information that exists, particularly among middle class parents that they find some kind of backdoor way to access some kind of information that is technically publicly available, but unless you know exactly where on this deep website to go look for it, you’d never find it. And the middle class parents tend to find this stuff and pass this knowledge around. So I think one way that if parents are listening to this and thinking about the kinds of inequalities that exist in our society, one really super practical way that you can help with this is to make these resources available to everybody in your school. Jen: 30:03 If you’re aware of a resource that could help make sure everybody knows about it, I think that information sharing can be incredibly powerful for families. Jen: 30:15 Yeah, that makes a lot of sense. So sticking with this idea of relationships, behavioral management systems, talking a little bit about those because it just seems kind of unfortunate to me that a lot of teachers are using these systems like stoplights and they have cards that are clipped up and down on a string and based on the research that I’ve done on how children learn, these kind of seem to undermine the construction of a really productive relationship between the teacher and the child. Is that so important to learning? So I’m curious what you think about these systems and what parents can do if they see these systems and use in their child’s school. Dr. Caspe: 30:56 I understand why teachers feel compelled oftentimes to use these systems, but I think we know, like you said, jen, that they’re really undermining our attempts in a sense for children to develop control over their own learning and their own impulses. We do know that for some children, behavior charts are helpful, but for some they become distracting, especially those kids who are sensitive or really attribute a lot of value to pleasing teachers and pleasing adults. And I think even more problematic is that we know that these behavior systems don’t help students necessarily understand why their behavior has occurred or really the natural consequences for a particular behavior. So I guess I like to think a lot about consequences. I really liked Ruth Charney’s book – it’s a little bit old, but I always recommend it to new teachers that I meet; her book, The Responsive Classroom and she really shows that we need to guide and model for children what caring and respect looks like. Dr. Caspe: 32:03 And you know, part of that is creating an opportunity for children and the students and teachers to have conversations about what it means to follow rules in the classroom and what the rules are and to develop those rules. I guess if you see these charts in your classroom, maybe a good first step is to talk to the teacher about how they’re using these systems. You know, you can ask about other behavior management strategies they might be using and other systems they might use. So what you might learn is that the red light, green light, yellow light stop is actually just one part of a larger strategy maybe and then you could also I think talk with your own child about your own concerns with the chart and maybe work to not place so much emphasis on them in your home setting. You know, I know for my daughter her teacher one year use this app called Class Dojo and she would always come home and she was so excited that she had gotten like so many dojos and at first I was confused because I said “I don’t know what you’re talking about.” But then afterwards, like I said, I just stopped giving her any real confirmation or you know, I just sort of let it go and try to explain to her that, you know, that’s not maybe what brings value. I want to hear about the books you’re reading. I want to hear about what you’re writing. I want to hear about what you doing. Jen: 33:27 Yeah. And I’ve definitely seen work that talks about how Class Dojo is not necessarily a great way to motivate children either. It’s a great way to motivate them to get points, but not necessarily to learn or learn how to modify their own behavior themselves. So yeah, that makes of sense. Going further on the topic of relations, the relationship between the teacher and the parents. And when I did this general social and parent teacher conferences, one blog post that popped up said “it’s important to remember that children are ego extensions of their parents. If you tell her mother that her son is failing in three subjects, you are in effect telling the parents that she too is a failure established no more than two or three concerns or issues. More than that will discourage most parents.” So part of me just sort of thought, wow, that’s incredibly sad that, that we are thinking of her children in, in that way as extensions of ourselves and that if you criticize a child, you’re criticizing the parent. But part of me thinks that, yeah, if somebody says something about that about my daughter, I, I might take it in that way too, so I’m just curious to see your thoughts on that and what advice you might have for parents that can help us to put our children at the core of the conference rather than our own egos. Dr. Lopez: 34:40 Well, start by looking at test scores and grades as data points toward progress, and there will be progress in some areas and not in others. We learn to be successful from failure. What’s important is to focus on improvement and for parents and teachers and the child too to create realistic goals within a timeframe, so they in fact form a mini learning community. Where were they able to try out teaching and learning strategies and the home school and community and find out what works to improve student progress. I’m sure most of our listeners are familiar with the work of Carol Dweck talks about the growth mindset and so we should not look at failure as a child’s failure or a parent’s failure, but as an opportunity to learn and grow and to test out different things. It’s also important to understand the child’s interests and passions and build from that to improve. Jen: 35:49 Yeah, that makes a lot of sense and I think that the preschool years and the early elementary years are particularly important for that because children do need to understand what failure is like and if the parent is always trying to protect the child from failure, then they get to high school having been protected the whole way and then failure has really serious consequences. Whereas a failure in the elementary years is something that really can be learned from in a low-stakes setting. Dr. Lopez: 36:16 Yes, and that mindset begins in the early years and when parents are there to support their child through challenges, they bring this on in their pathway towards high school graduation. Jen: 36:30 Yeah. And so moving on towards our fifth and final principle is reimagine how do you see the reimagination about how families can access and understand information on their child’s progress? Dr. Caspe: 36:42 If you remember – o reimagined is about building connections with community agencies and providers that have programs or services that really broaden and deepen students’ interests and to meet the needs of families as well. And I think reimagine this exciting because it sort of opens the door to new possibilities and new partners and new ideas. And here’s an example of this and I think an example of the way that data can be part of this. I was just on the phone with a wonderful manager at the Toronto Public Library recently and she was talking about how a big new project that they’re working on is increasing reading supports for children and first, second and third grade through partnerships between libraries and schools. And she really commented that libraries come with a rich and deep array of collections and books and resources. At the same time, librarians don’t have a lot of time to do individual tutoring or work with individual students. Dr. Caspe: 37:41 So they’ve created this partnership with schools and other types of volunteer providers to come to the library to help support reading and literacy through different types of buddies and different types of community volunteers and as part of this they’re actually tracking children’s reading growth over time and it just occurs to me that this is another place where families can get indications on their children’s growth, their children’s progress as Elena sort of talked about, but not necessarily from the school. Right. But this is information that families can then have and take with them to the school to share with the teacher and sort of show the teacher these other spaces where children are learning and growing as well. Jen: 38:27 Yeah. I was surprised that we’ve touched on this very tangentially. The reimagine didn’t include the idea of incorporating the child into the parent teacher conference. So I was curious as to whether you see that as being part of reimagining parent teacher conferences. Is there ever a reason not to do it? And also what are your thoughts on student-led conferences? Dr. Caspe: 38:51 Children I think really are the best interpreters of and authorities on their own experiences, so their presence I think is actually really helpful during parent teacher conferences and I think also can really be one way to help adults stay focused on the primary reason for coming together in the first place, which is to support the learning and the development of the child. You know, today’s biggest teaching and learning challenge is really to determine students’ skill level, set appropriate goals for them and then support them along the way. So I think these student led conferences are a great way for students to really exercise ownership and accountability over their own learning in the pre K through second grade years, you know, it might be that students are only sharing a small portion of their learning. Whereas in the older grades we see portfolios and larger projects where perhaps youth and young adults are really presenting entire large bodies of work. Dr. Caspe: 39:54 I honestly don’t have a sense of how pervasive or common these types of conferences are nationally, but if it’s something that’s not happening that you want to see in your district or your school or your preschool, I think it’s definitely something to raise up and ask about and I do think that there probably are occasions, and this is part of your question. I think in part, you know where there are going to be occasions where parents and teachers need to speak privately and maybe in confidence, you know, perhaps when something is going on that might be too painful or difficult or complex for students to understand and really need to strategize on their own for a child’s behalf. But ideally in a sense this would be the exception and not the norm. Jen: 40:42 Yeah. I was never allowed to go to parent-teature conferences, but I was a child. I was always told that they were an opportunity for my dad to talk with the teachers about me without me being there. And I always felt as though that was a missed opportunity and that I could have learned a lot about what the teachers thought about how I was doing and also what my dad thought about how I was doing by being there. So yeah, it may seem kind of like a strange idea if you as a parent were never involved in you’re your own parent teacher conferences as a child, but I do think that it’s something that – there are videos of them available online and that the student just owns the conversation and it really takes charge of helping everybody to understand what they’ve learned and where they are making mistakes, where they need to put more effort in, where they need to try new strategies and that’s what learning is about. Right. So moving on from there. Dr. Caspe: 41:34 I think a lot of parents have a goal of raising a child with an intrinsic motivation to learn. But it seems to me as though many of the systems used in schools like grading and standardized testing have been shown in research to undermine children’s intrinsic motivation to learn. So I’m curious sort of moving beyond the parent teacher conference here, what suggestions you might have for parents to support their children in maintaining their intrinsic motivation to learn and love of learning. New Speaker: 42:02 I don’t think that data and assessment necessarily need to be antithetical to a level of learning. I think it’s all in the spirit I think is Elena spoke to before of having data to help track our growth. You know, I just ran in my community’s 5K race over the weekend and I don’t do a lot of running. So I needed to set markers for myself. Dr. Caspe: 42:28 I needed to have goals both in terms of time and distance and I was trying to meet those goals which was something that I wanted to do. But by meeting them I became more motivated and can see the progress that I was making. But I think the key is to make sure that we’re setting appropriate goals. We’re setting a bar that makes sense and there we’re making sure that are markers of progress really align with our goals of our learning and are measured in ways that are concomitant with the type of learning that’s taking place so we don’t need to have necessarily standardized assessments and filling in bubbles or you know, spending a lot of time on computers answering questions, but we could also create video learning opportunities or we could create opportunities for students to assess their growth and progress in real project-based learning type ways that perhaps will be more intrinsically gratifying and still include those markers of progress with them. Jen: 43:32 Okay. That’s helpful. Dr. Lopez: 43:34 If I may add, too, the standardized tests and scores. It only one borrowed. All the whole range of data that’s available for families, teachers and students. I think parent observations about your child’s interests and what they have accomplished are also important sources of data and there is also a movement to provide kids with badges to show their accomplishments which are not going to be measured through standardized test scores. Jen: 44:12 Yeah, that’s definitely a very important point that the test score is only a part of the answer for sure. So as we start to wrap up here, I’m curious, is there anything that parents should do to prepare for a conference other than writing their questions down and making sure they take those in with? Is there anything they should think about or kind of a frame of mind they should get in or other ways that they can sort of get the most out of the conference that they can? Dr. Caspe: 44:40 You know, my sense is that if a parent who’s listening to this takes anything away, I would think a little bit about how the five R’s can help you get into the spirit of the parent teacher conference. Reach out ahead of time to your parents teacher. Let them know, hey, I’m going to be curious about this. I might like to talk about it, or thinking about the things that you as a parent might want to raise up ahead of time. Or what are the types of ways that you want to be reinforcing learning at home and making sure that all of those things are addressed. Or maybe there’s one type of relationship you want to build or maybe there’s a space outside of school that you’re interested in getting more connected to and you want to bring that up in the conversation. So to the extent that you can use those Rs to guide you, I think that would be exciting for me to hear other people take away in help with their preparation for the conference only. Elena I don’t know if you want to add more to that? Dr. Lopez: 45:40 I think it goes back to what we said in the beginning, that the pare-teacher conference is only one point in continuing conversation with the teacher. It could be like the second point, the first point for some parents, but it has to be continuous throughout a child’s school year. Jen: 46:00 Yeah. Which hopefully makes it less scary. Right? If it’s just one point in many conversations, then it’s not nearly so intimidating as this thing that you have to get. Right? Jen: 46:11 Yeah. Okay. And so as we wrap up, I was curious to read about something, but the center is working on cold, a human centered approach to family engagement to build better relationships between schools and families. I wonder if you could tell us a bit about that please. Dr. Caspe: 46:26 Sure. So human centered design is a technique or an approach really that’s becoming increasingly popular in education to open up new ideas and possibilities for solutions and new processes. It’s really, I think one of the methods that gets it at this notion of reimagine. The story I’d like to tell is about how the Swiffer, you know, that map that we use it, you know, and everybody uses in their kitchen each year. Every day was really invented this way. You know, Procter & Gamble were trying to create a new cleaning solution, but they went to their chemists to develop new soaps, but they really went to a design team to go out into the field and watch people clean their kitchens and sort of what they started to find where that mops are difficult to use. They get dirty, they’re hard to clean. And over time they realized by watching people and really spending time with people who were just cleaning their homes, that it wasn’t that they needed a better silver solution, it’s that they needed a better mop. Dr. Caspe: 47:36 So they came up with this idea of a Swiffer, which is, you know, this disposable napkin on the end of a broom handle. So it’s this idea that we could use processes that begin with deeply empathizing and deeply understanding others to begin to create curriculum teaching and learning strategies that really put people and users and families at the center of them. And we’ve been using this process with librarians, with early childhood providers to really help them open up the types of services and ways that they engage families either around the transition to kindergarten or a different story times that they have. And really opening up this new way of brainstorming and really quickly thinking about new ideas. So Elena, do you want to add more to that? Dr. Lopez: 48:33 Well, I think the key here is to listen and learn from families. And I hope there’s enough time for another example, which is, one of my favorite ones where you know, the school had a problem with getting enough attendance at parent-teacher conferences. So in the spirit of re-imagining they partnered with a pizza parlor and whenever you ordered the pizza boxes would have reminders about the conference. And so that I think is an example of listening and learning to families and to the communities and getting the results that you want. Jen: 49:15 Yeah. Another of my favorite examples that I read, it might’ve been in your book, actually, I’m not sure. I read a lot of books when I was looking through this topic, was about, I think it was an Indian family that had never engaged with the school. And so the school was trying to think new about new ways that they could share information about children’s learning. And so they decided to put a display up of the children’s work in a local supermarket. And this family that had never previously visited the school for a parent teacher conference took six or seven different family members on three or four different occasions to go and visit this, this classwork and, and see all the cool stuff their child was doing and the mother was so proud of it and it just really struck me as such a concrete example of something that is so human centered, reaching people where they are already, where they feel comfortable going and not requiring them to meet you on, on your turf. Dr. Caspe: 50:08 I think that’s an awesome example. Jen: 50:11 It must’ve been from your book. Yeah. So this, this human centered approach really, really does seem to me to be the way we should be going for sure, as we reimagine not only parent teacher conferences, but also how children learn and how we support children in their learning. So, so thank you for working on that. And also for helping us to understand better what we can get out of parent teacher conferences, but also the idea that this isn’t the be all and end all. This should just be one very small part in our relationship with the child’s school and their teachers and the conversation around helping them and supporting them to learn. So I’m so grateful for your time today. Thank you very much. New Speaker: 50:52 Thank you. New Speaker: 50:53 Thank you so much. Jen: 51:09 And just as a reminders to parents. If something isn’t quite sitting right with you and your child’s education, whether it’s your relationship with the teachers and administrators at school to what your child is learning about and how they’re learning it. You might find my online course on supporting children’s education in school to be helpful. It has all the research based information you would usually expect from me in terms of helping you to understand the issues like how schools came to be and surprisingly they were not developed to help children realize their full potential. Along with really concrete practical tools that you can use to support your child’s social emotional academic capabilities to enable both their success in school and also a lifelong love of learning your parenting Mojo and listener Kathryn, who took the course said I’d been worried about the transition to school, but this course was tremendously reassuring and inspiring. Jen: 51:58 It both makes very clear the limitations of the school setting, but empowered me to see what I can do individually to make the most of their experience. It also refreshingly makes clear that perfection is not the goal. Instead, it provided me with the knowledge and ideas to find and make the most of opportunities to extend my daughter’s learning according to her own unique needs and interests. The course is designed for parents of children in the preschool years. If you like to be very prepared through the kindergarten years to prepare for the upcoming transition and through the early elementary years. If things aren’t going quite as well as you might have hoped with some aspect of your child’s school experience. You can find more information about the course and your parenting Mojo.com forward slash courses. Again, that’s your parenting Mojo.com forward slash courses. Jen Lumanlan (M.S., M.Ed.) hosts the Your Parenting Mojo podcast (www.YourParentingMojo.com), which examines scientific research related to child development through the lens of respectful parenting.